The Avant PR office is slightly quieter than usual today, with evidence of Domino’s pizza lunches scattered throughout – proof if there ever was any that the team had one too many glasses of champagne last night. 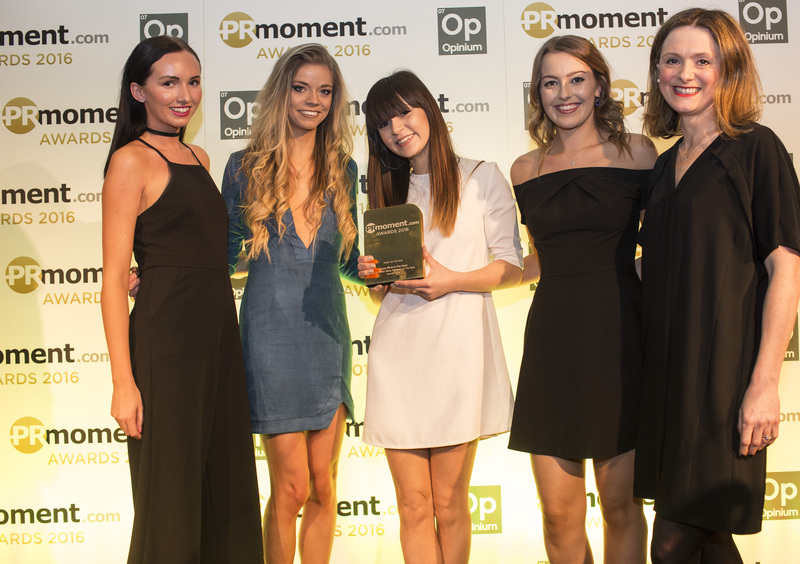 We had good reason, however, as we were at the PR Moment Awards, where we won the hotly contested ‘Event of the Year’ gong. Up against nine other fab agencies and brands, we were honoured to be awarded the prize on the night for our work with In The Style on last year’s launch party for the brand’s Binky Felstead range. The judges commented that the team ‘produced incredible outcomes’ and ‘real results’ – and it was a great night to boot, with a huge press and celebrity attendance! Held at the Hilton hotel on Deansgate, Manchester, last night’s awards were great from start to finish, with a delicious three course meal, tunes from Manchester music legend Clint Boon and a huge 33 awards doled out to the finest talents in PR.